On the evening of March 8-9th, we will witness the first solar eclipse of 2016, coinciding with a supermoon new moon. During a solar eclipse the new moon passes in between the sun and the earth, blocking out the sun’s light. This week, the new moon is a supermoon meaning that it will be at its closest point in its orbit around Earth. In some parts of the world, this will be a total solar eclipse, because the entirety of the sun’s light will be covered for a period of 4 minutes and 9 seconds. 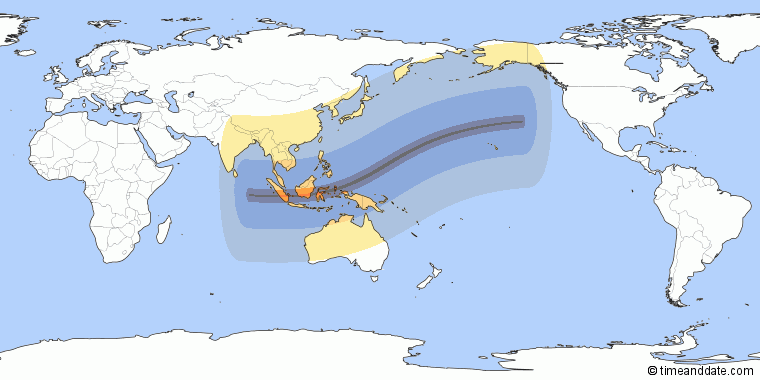 The partial/total solar eclipse will be visible in parts of South/East Asia, North/West Australia, as well as over the Pacific and Indian ocean. The darkest line in the picture below reflects the area where totality will be visible. To find out how to view the solar eclipse in your area, visit Time and Date. March 2016 also yields a penumbral lunar eclipse on March 23rd, visible from most parts of Asia, Australia, North American and South America. Energetically speaking, eclipses are typically markers of times of transformation. These beliefs have persisted since ancient times and continue today across many different cultures. You do not have to be able to physically view the eclipse to feel its energies. While scientists, philosophers, astrologers and psychologists alike may continue to debate ‘WHY’ people feel energetic changes in during celestial events like full moons or eclipses, the undeniable reality remains that many people do experience these energetic fluctuations and ascribe a level of importance to them. As with many metaphysical constructs, just because science has not yet developed tools to empirically measure the energetic fluctuations associated with celestial events does not mean that they do not exist! 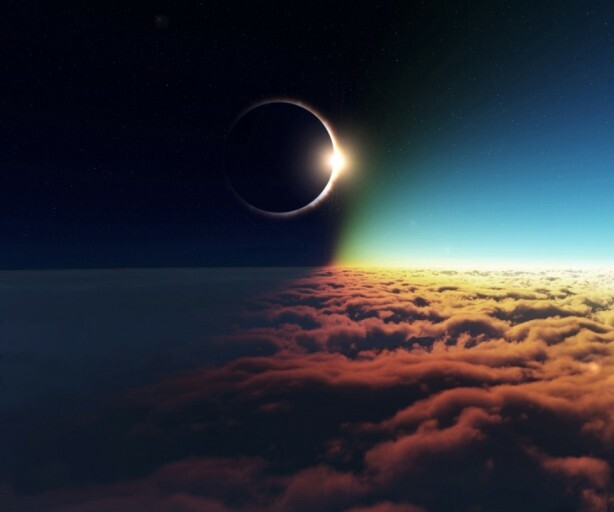 If you are sensitive, or if you choose to work with the energies of celestial events to better your life and circumstances, then this total solar eclipse in Pisces marks quite an auspicious time to make changes. This is because Pisces reflects the ocean of emotions that lie under the surface, both individually and collectively. 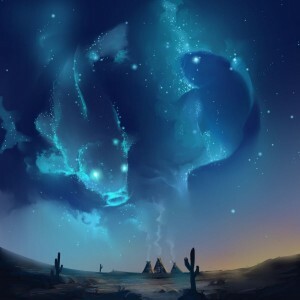 Governed by mystical Neptune, associated with art, intuition and mysteries, an eclipse in Pisces has emotional, unpredictable and highly transformative qualities. Time to Reset and Take Risks! This eclipse marks an excellent time for an emotional reset, including stepping away from certain people or relationships, making a break from behaviors that no longer serve you, or making a choice to be around new people. This is also a prime opportunity for a physical reset, including a cleanse, diet change, sobriety/detox, or new workout program. Because Pisces deals with unconscious emotions, this eclipse sets the stage for a re-programming of your subconscious habits, behaviors, patterns and coping skills. You can do this! According to astrologist Lena Stevens from the Power Path (also featured on Mystic Mamma), with its two eclipses, the month of March 2016 is encouraging us to “fire up, and move towards outwards manifestation.” Much of the transformation we have experienced thus far in 2016 has been directed inwards, and we are now presented a huge opportunity to overcome our fears and take action to make our dreams happen. In light of the theme of physical/emotional reset and transformation, place your intentions into overcoming any lingering fears of the unknown and experiment with something new this week! Whether you are spending time around a new social group, starting a new relationship, trying out a new workout regime or new hobby, know that your fear of losing control, your fear of failure, and your likelihood of being distracted in new endeavors are all within your power. When you feel self-doubt and anxieties creep in, remember that the universe is here to guide you and that these opportunities are being presented in divine alignment with your journey. Many of these fears and anxieties are learned or conditioned patterns of behavior which you can overcome by staying in a present mindful head space, taking real action, and employing techniques designed to reprogram the subconscious like meditation, hypnosis and more. By trusting your intuition and saying “YES” to potential opportunities that resonate with your growth, there is an opening this month for rapid evolution in your relationships, your wellness, and even across your employment and business arrangements this month. Do not be afraid to think out of the box and to take a chance! For more on March 2016’s powerful astrological significance, check out Lena Stephens on The Power Path!